Welcome to my podcast episodes! You can listen to the podcast you selected below, as well as find a transcript and more information about specifics mentioned in the podcast. For our main podcast page, pease click here: UEOSpodcast.com. To ingest or not to ingest – that is the question! Although for some it doesn't take much thought. DO IT! Or DON'T DO IT! 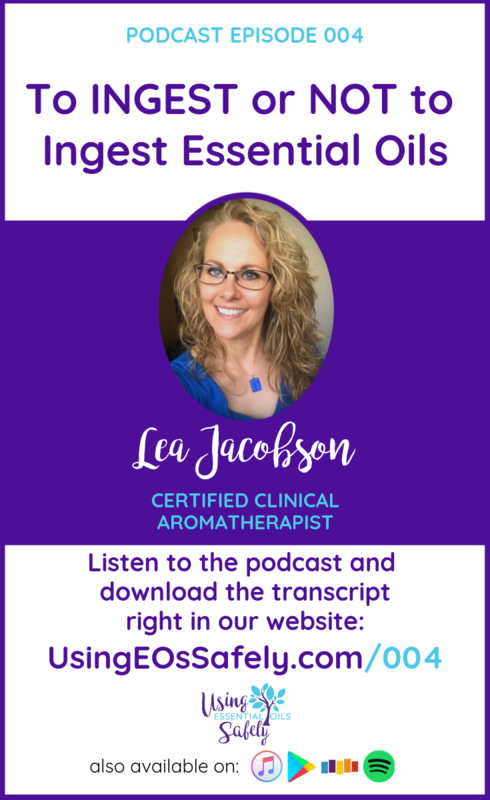 Certified Clinical Aromatherapist Lea Jacobson is here to settle the debate with you once and for all answering the following questions: Is it safe to add essential oils to water? 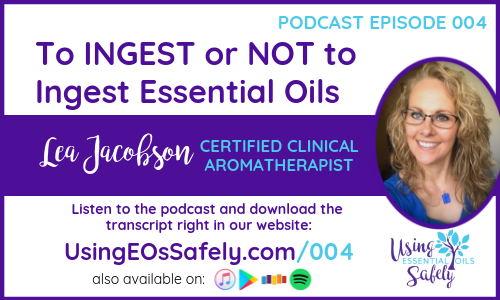 Is it ever safe to ingest essential oils? What about the “flu bomb?” What about those who say they've done it for years and are just fine? 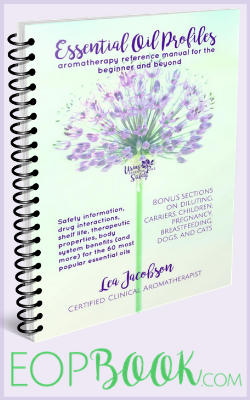 And the two essential oils I'd ever recommend ingesting, how, and why. 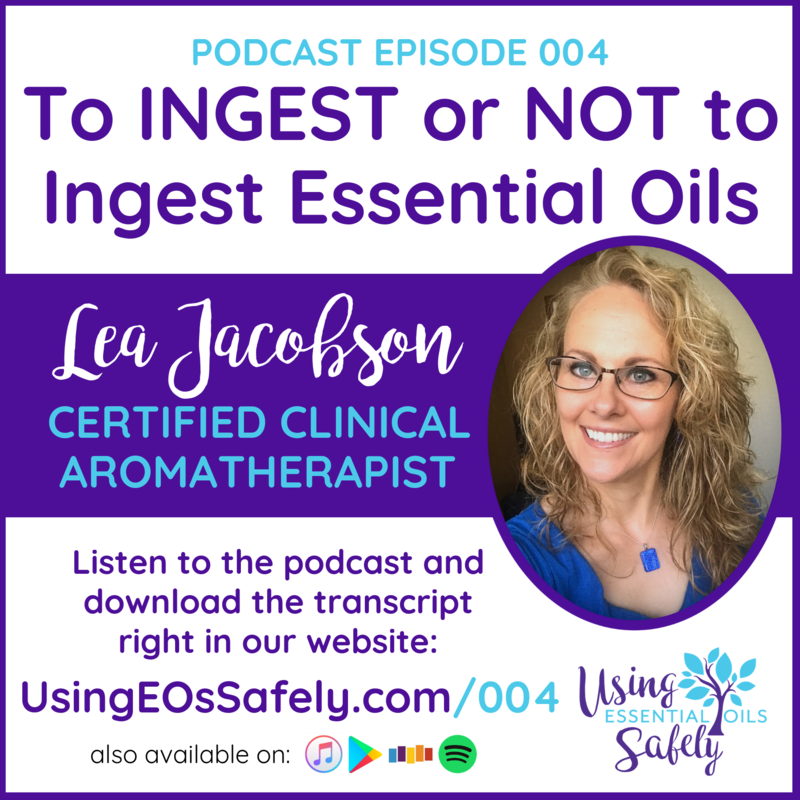 For further reading: Ingesting Essential Oils. The post on Facebook where this all started. The live video version of this podcast (with Q&A not on this podcast).